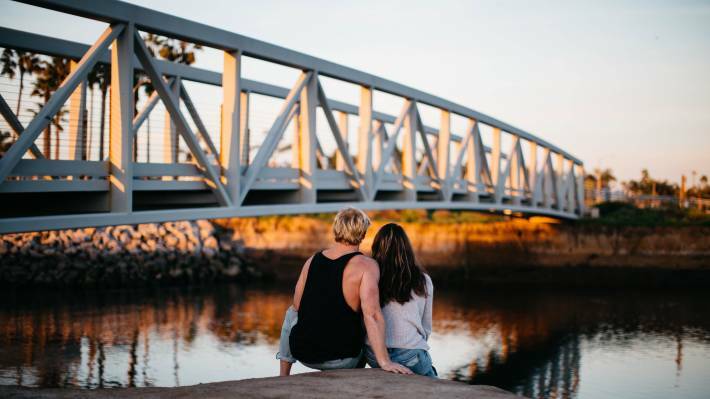 From the waves to the wetlands, there are myriad ways for couples to explore all that Huntington Beach has to offer. Leave the candlelit dinners for another time—dynamic duos in Surf City can spice up their relationships with adrenaline-pumping activities along the coast. For adventurous couples looking to unwind and explore on vacation, here are five excursions that add an element of interactive outdoor fun to any romantic getaway. A quintessential experience for active couples in Surf City is, of course, to shred some waves. Hang 10 with your partner in crime after taking a private or group surf lesson from pros at companies such as Corky Carroll’s Surf School, where two people can get a one-hour instructional session with an additional hour of on-the-job practice. Learn a new sport together with a 90-minute stand-up paddleboard lesson in Huntington Harbour. 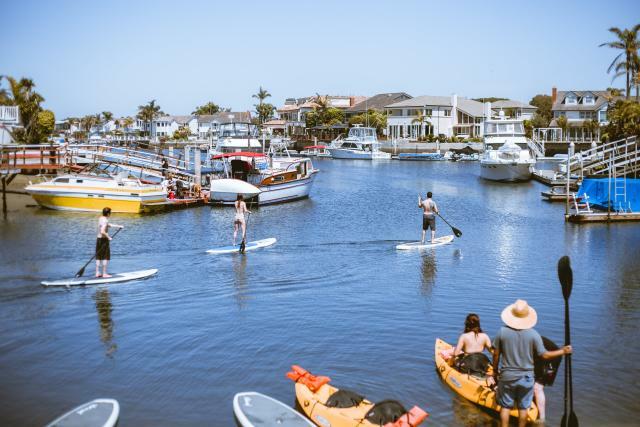 Great for all athletic abilities, SUP can be a low-impact sport when taking a leisurely tour of the harbour, where the waters remain fairly calm. 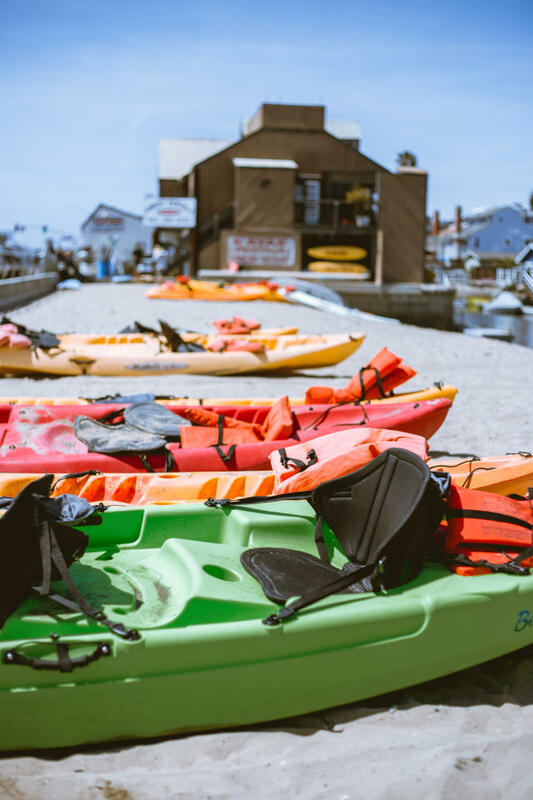 Companies like OEX Sunset Beach offer lessons that include safety tips and all equipment, including flotation devices for those who aren&apos;t the strongest swimmers. 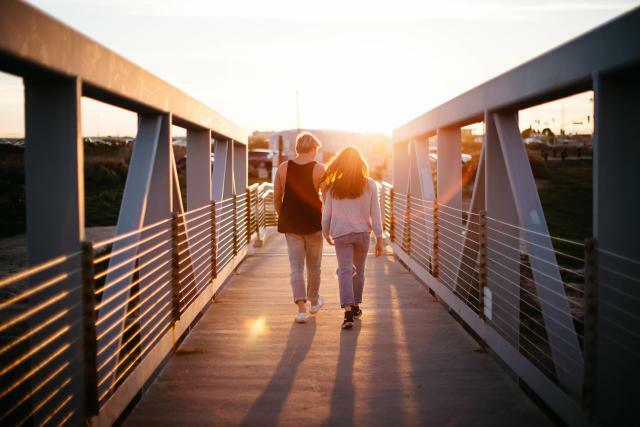 As the sun rises or sets, enjoy a romantic walk through the peaceful Bolsa Chica Ecological Reserve. A birdwatcher’s dream, the wetlands offer a quiet space to begin or end the day while enjoying the natural beauty of Huntington Beach. Stroll hand-in-hand along five miles of dirt and gravel paths—it&apos;s as if you&apos;re in your own private paradise. 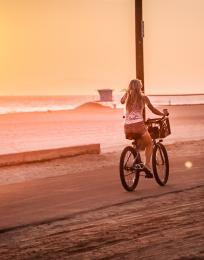 Shift your relationship into the next gear with a tandem ride along the Huntington Beach Bike Trail. 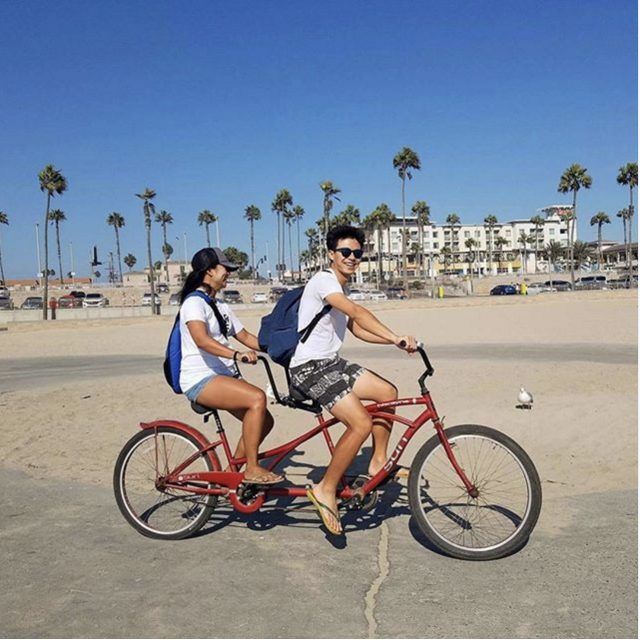 Borrow a tandem bike from a rental shop like Wheel Fun Rentals at the Hilton Waterfront Beach Resort and cruise the coastline on a flat, easy-ride path. 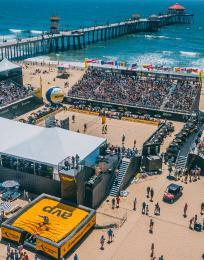 The self-guided journey takes about two hours from Downtown Huntington Beach south to Newport Beach, but be sure to leave time to hop off the bike for a bite to eat and exploration of sites like the International Surfing Museum. 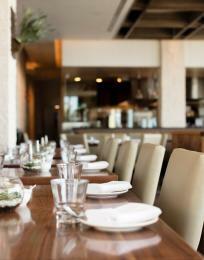 Pack a lunch and head to Sunset Beach just south of Peter&apos;s Landing. Here, couples can rent a kayak for two and shove off from shore to explore the mellow waters of the harbour. Paddle in sync for an hour or so before stopping at one of the quiet neighborhood parks to boost your energy with a shared snack.